Aumann Bender & Associates holds unrivaled status as the preferred San Diego real estate agent team for high profile transactions throughout San Diego. Real Trends, published in the Wall Street Journal, Joy Bender ranked #49 nationwide of 1,100,000 licensed REALTORS® for average sales price. Specializing in search marketing for over 14 years which includes artificial intelligence (AI), Joy Bender continues to be San Diego's leading luxury real estate digital marketer. Her search marketing efforts for traffic and visibility with both paid and unpaid efforts from search engines include advanced search engine optimization (SEO) and pay per click (PPC) advertising. By using "AI" their team directly target potential buyers for their seller clients using both retargeting and remarketing. San Diego's rolling hillsides, canyons, golf communities, and beachfront neighborhoods offer an extensive list of amenities and lifestyles, one of which proves absolutely superior for each our clients. Our thorough knowledge of the market allows us to introduce investors, vacation and second home buyers, families, and individuals to the San Diego community. 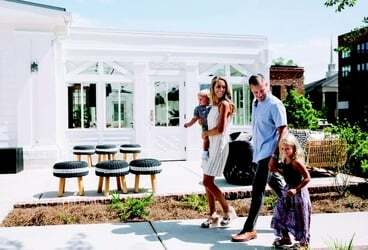 Our familiarity regarding school performance, gated communities, country club living, walkability, and proximity to shopping, dining, and entertainment is unsurpassed, providing our clients with top-of-industry intelligence to assist in decision making. Our deep knowledge of the short and long term rental market for investors and our strong partnerships with contractors and vendors for remodeling offer meaningful perks to our clients. We use our strategic relationships and creative approach to home discovery to identify property and aggressively negotiate on behalf of our home buying clients. Deploying a “high-touch meets high-tech” approach to luxury residential brokerage, Aumann Bender & Associates is the San Diego partner for the coast to coast super team, The Private Client Team. With a professional network that extends to architecture, design, construction, financing, legal representation and more, we are a full-service nationwide team that is second to none. Recognizing real estate has become a global asset class - and that many of our core clients now own multiple properties in several markets, we’re positioned to deliver a seamless experience across our clients’ entire real estate portfolio, including strategic advice and consultation. 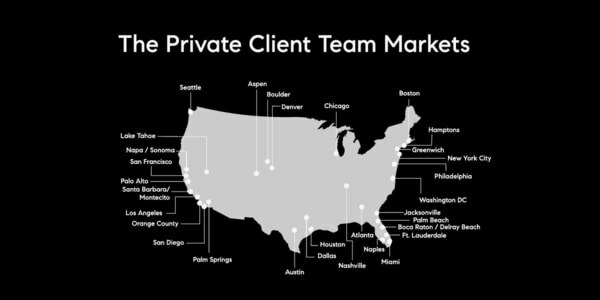 Because real estate is so dynamic and hyper-local, we are building a unique nationwide team of high-performing and like-minded associates to service the needs of our clients – wherever they might be in 29 markets nationwide. This high level collaboration brings tremendous marketing exposure to our seller clients and their properties. Joy Bender was honored in the Wall Street Journal as a top California real estate agent. She is active in the local La Jolla business community, establishing a La Jolla startup chapter for Business Network International (BNI). For the past seven years, Joy has lived in the epicenter of coastal luxury— the Village of La Jolla. She is the proud mom of three boys and a King Charles Cavalier. Joy has tremendous gratitude for each client and looks forward to new friendships as they settle into their new home. A natural conversationalist, Rob Aumann has people walking away feeling like they&rsquo;ve known him forever after their first meeting with him. But he knows the true secret to be an effective conversationalist is being an exceptional listener. Previously, Rob worked for a decade as a marketing executive, honing his skills in customer service, creative problem solving, and effective negotiation. Rob is active in the local business community, establishing a La Jolla chapter of BNI, Business Network International. 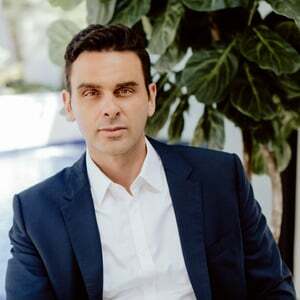 Calling North County Coastal San Diego home for a number of years, and growing up in a high end real estate family, Jonny is committed to providing the highest level of professionalism and integrity. Jonny has spent much of his adult life not only studying at CU Boulder, working and traveling the world, but also actively pursuing a very high-level knowledge of wine. He began this venture while living in, and working as a fine-wine distributor in the luxurious resort town of Vail, Colorado. It was an absolute pleasure and we will be singing your praises to anyone who can listen having picked you out as “The One” by internet. I feel so fortunate that you were “our” team for our Santaluz purchase! Joy has been a great agent to work with she is very aggressive never sleeps always on the go looking to help us find the right house. Even though she shows you 20 and you say no she wont stop until you find what you are looking for! It was a pleasure and will choose her again for the next house. Joy & Rob Bender not only did an exceptional job as the listing agents for our new home, but also proved to be extremely professional, resourceful and critical to the process of us obtaining it. We fell in love with La Jolla and quickly learned that the real estate market is incredibly competitive. Being from out of town, we were very cautious who to trust with this large purchase. It was a tremendous fortune that Joy & Rob were on the selling side of the one we ended up choosing. Joy, who showed us the home, immediately impressed us with her professionalism & we were sold on the house within minutes. She also demonstrated a rare ability to serve her sellers interests and ours at the same time helping us craft our offer on the spot. Her problem solving & negotiating skills were swift and second to none. With a quick closing and several moving factors, Joy & Rob together designed a win/win arrangement and worked with our agent seamlessly. They both would answer questions within minutes (sometimes seconds) and made a potentially stressful situation smooth, pain free and actually pleasant. The execution of the entire process was precise, accurate and professional. Timing was critical and without Joy & Rob’s good work, we may not have acquired the house. During our closing it was obvious that the seller was also pleased. They are clearly as respected by their long term clients as they are by us. When it comes to Real Estate, where a lot of funds are at stake, timing is everything and the devil is in the details, we recommend Joy & Rob if you want to be in the best of hands. We are grateful they were there for us. Joy is a very professional and sharp agent. She listens to the needs of her client and acts on them quickly. She is a wonderful communicator and will always try to steer her client in the right direction. She has an amazing attention to detail and she will work diligently until the job is done. Joy Bender is a hardworking and dedicated realtor and we strongly recommend her. We highly value her responsiveness and appreciated the number of hours she spent with us in person, and by phone and email, keeping us informed and updated throughout the process. She showed extraordinary professionalism and we could not have had better support. The personal attention and direction she provided over several months resulted in finding the perfect home for us. Both Tina and myself wanted to let you both know how invaluable your advice and guidance has been with both the purchase of 5614 Dolphin Place and the sale of our home at 423 Westbourne Street in La Jolla. Your negotiating skills are spectacular, particularly with the unusual way in which we structured the purchase contract. Your people skills allowed us to work with the listing agent at Dolphin Place and ultimately convince the sellers to accept our terms of an extended settlement which allowed us time to sell and settle Westbourne. With regard to the sale of Westbourne, your marketing skills were literally the most impressive I have ever seen. Not only did you arrange for various contractors to come into Westbourne over a 48 hour period to get the home into mint show condition, but you also brought in one of the top videographers to put together a stunningly beautiful photographic representation of the home on the internet listing. The photographer also put together a sixty photo slide show that created total buzz and excitement for the home that brought us a first day contract for $90K over the listing price as well as over 100 people at the open house the following day. When the first contract fell out of escrow for a financing technicality that the buyers(who were pre-qualified)had no control over, you very quickly produced a full cash buyer that was willing to close in five days with no contingencies whatsoever. You also kept the buyers believing that the property was “hot” and would sell quickly if they faltered in any way. There is no doubt in my mind that you are both going to be the top producers in California in the future. Your dogged persistence, superb people skills and phenomenal work ethic insure a very successful future for both of you. I will refer you to as many individuals as possible. Many thanks to both of you for your incredible advice, skill and ultimate successful results on both Westbourne and Dolphin Place.